Fernando’s Review of ‘Jack Ryan: Shadow Recruit’!! Hey guys! Remember Jason Bourne? Hell no you don’t! At least you won’t give a crap about him after you watch JACK RYAN! The director of “Thor” (Kenneth Branagh) shows us that he can again take really old source material and totally revamp it for today’s audience. Jack Ryan is given about fifteen minutes of really effective origin story, and then a whopping hour and a half of non stop action. Jack Ryan is a student, then all of a sudden he’s a marine, then all of a sudden he’s an accountant, then all of a sudden he’s super america super spy! Ryan uses his super knowledge of statistics and economics to fight crime! That doesn’t make any sense, except it totally does when you watch it, and that’s just the first fifteen minutes! To make things even better, he has to go up against Russians, who we know have to be historically the total anti-Americans. And you know how every spy needs a love story, well Ryan does too, and he finds it with Keira Knightley, who tries incredibly hard to hide her British Accent, but who cares, she’s hot, and she’s actually really good in the film as a hot doctor who steals a marine’s heart. Chris Pine can definitely play the action hero, and he can also play nice guy, and ultimately, he makes a damn good spy. But the big surprise here is Kevin Costner. When did you get so awesome Costner?!?!?!? You 180’d from ‘Waterworld‘ to Superman’s father and now Super Spy Mentor. I’m dead serious, Costner is slick, mysterious, fatherly, hardass, just awesome. Jack Ryan is totally worth the couple extra bucks to watch in Imax. Totally immersive, all out thrill ride, and it even has a bit of old school comic relief. The stunts are cool, the booms are loud, and it’s just a ton of fun. So I’m fine with Jason Bourne forgetting who he is, cause I forgot too. And James Bond…yeah, I’m done with your limey spy crap. Bring on more JACK RYAN, ALL AMERICAN SPY HERO!!!!!! Bryan’s Film Review of ‘Jack Ryan: The Shadow Recruit’!! New ‘Jack Ryan’ Film Will Premiere Dec. 25th, 2013!!! This entry was posted on Thursday, January 16th, 2014 at 11:41 am	and is filed under Film, News. You can follow any responses to this entry through the RSS 2.0 feed. You can skip to the end and leave a response. Pinging is currently not allowed. 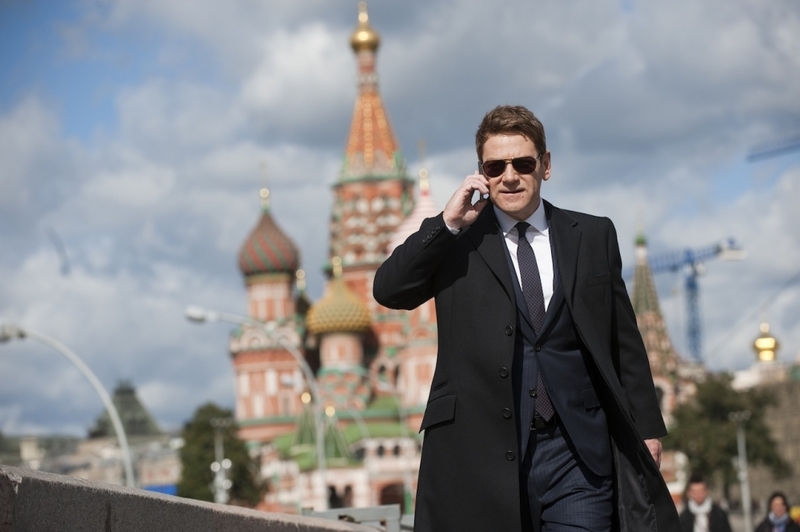 « Bryan’s Film Review of ‘Jack Ryan: The Shadow Recruit’!! I have heard rumors of your beauty. And for once, the gossip is right.